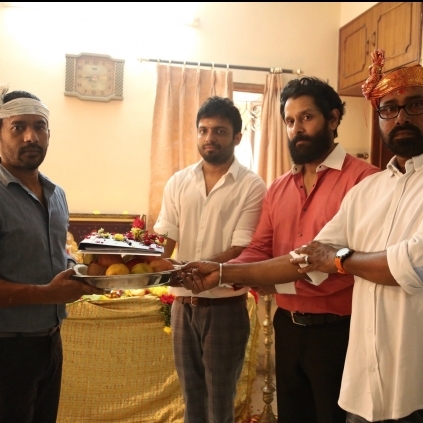 Vikram’s next outing with director Anand Shankar has officially begun with an auspicious pooja that was held in an office dedicated for this project. This film is being produced by Shibu Thameens and the team looks at starting to roll post Christmas 2015 at locations in and around Malaysia. The other planned shooting spots are Ladakh, Bangkok and Chennai. With Nayanthara and Nithya Menen playing the lady leads, this project will have RD Rajasekhar’s camera work. This action thriller will mark Vikram’s 52nd film. Nayanthara Will Romance Vikram For The First Time In Anand Shankar Film. People looking for online information on Chiyaan 52, Nayanthara, Nithya Menen, Vikram - Anand Shankar film will find this news story useful.